Each year, this university spends a portion of the budget on improving the facilities that are used daily by students and faculty. Oftentimes, the summer is the best time to take on some of the larger projects, as students are not on campus. Beyond just keeping up with normal maintenance duties and general construction issues, SNU has taken on some more intricate and longer-term projects within the past few months. The new and improved science building will take the longest to finish, but the addition to the fine arts building and the new basketball court south of Snowbarger are also large enough to affect student life and create conversation. Scott Strawn, Vice President of Business and Finance, outlined the recent facility improvement projects in an email to the staff. “It is impossible to provide this update without acknowledging the professionalism and dedication of our staff team in Facilities Management led by Ron Lester. He and his team have worked many hours handling both planned and unplanned projects and have done so with great success. 1) The new entry of the Parker Fine Arts Center was completed by the first day of classes. Site work and landscaping for this project will be completed during the first few weeks of the school year. Gift funds were used to fund this project. 2) The JD West Science Laboratory building project has made solid progress with the completion of the site, the pouring of geopiers, and the setting of footings. The significant rain has slowed down progress some, but we remain confident that this project will still be completed with a soft opening during the middle of the summer in 2014. Given the rain we have had, we have also had significant flooding issues in the basement of Beaver that have impacted both CSNE [Computer Science/Network Engineering] and Physics. The damage has been remediated and fixed, in some cases, twice. Much thanks to Mark Winslow and the faculty and staff impacted by these floods for their graciousness and flexibility. Gift funds are funding this project while insurance covered flooding expenses. 3) As a part of the Science project, we are removing utility poles from the area of the new construction. To do this, we had to bury all utilities (electrical service, phone, cable, and fiber optic for Internet) in this area of the campus. The poles that run from the North end of Webster Commons to the South End of Royce Brown should be coming out very soon and the result is an upgraded and more efficient electrical service grid and an improved vista for the new laboratory building. A big thank you to Bruce Alfson, who led this project and all of those in campus buildings who worked with us while their areas went without power for several days. Capital project monies funded this project. 4) We were very blessed this past spring not to have faced major or catastrophic damage to our campus. Yet, the weather has taken its toll on us. Wind, hail, lightning, flooding and rain have all been the cause of damages during the spring and summer months of the last two years. We have had roofs damaged by hail (Southern Plaza and numerous residential and athletic field properties). We had major flooding in the first floor of Snowbarger Hall, the basement of Webster Commons, the basement of Bresee and the Beaver science building. We had lightning strikes to several buildings that impacted fire alarm systems, security cameras and access control systems. We had numerous tree damages across campus. All of these events required significant remediation, repair and replacement. Thankfully, our property insurance covered a large portion of the costs for many of these repairs. 5) This summer we completed phase two of a five-phase plan to completely remodel and repair Chapman Hall. Repairs to date have focused on utility infrastructure and controls, remodeled bathrooms and new unit windows and doors. 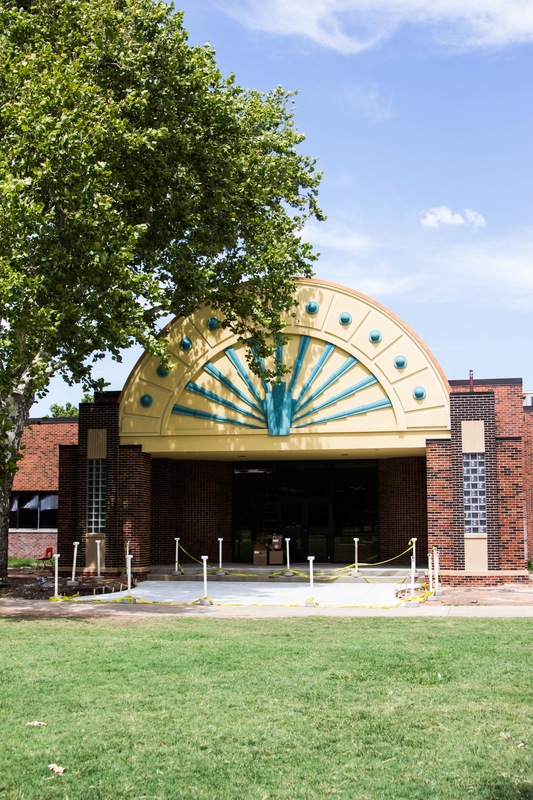 Next phases will replace the roof and repair the exterior veneer and mortar, remodel kitchens, replace carpet, paint units and improve security and livability of the courtyard area. Housing revenues fund this project. 6) As a first step towards renewing the Webster Commons entryway and the Centennial Plaza, the front entryway steps of the Commons are being redone with new flamed granite tile. Capital project monies funded this project. 7) Herrick Auditorium is the home to numerous campus events and also to Chapel. This summer, we significantly upgraded lighting, sound and audiovisual capabilities in this area. Much thanks to Dr. Blair Spindle for helping us manage this project. This project was funded with monies from the School of Music, the SGA and capital projects. 8) We had a major fire in the Robinson room kitchen inside the AM Hills Residence Hall early this summer. Significant repairs to this area were required and are mostly completed. Insurance funds covered these expenses. 9) We have completed and are in progress of completing several significant improvements to campus security systems. New lighting was added in the walkways between Herrick and Broadhurst, including the Marchant center parking lot. Many new IP security cameras have been added in campus buildings and are in the process of being added at the football stadium complex and offices. With the hiring of Glen Holcomb in Campus Safety and Security, we will be working towards improvements in all areas of security, including upgrades in campus building access and key controls and security alarm systems. Capital project monies fund these projects. 10) Based on conversations with OGE and given the continued growth and encroachment by our trees on the major power distribution lines that run along NW 39th Expressway, we had to allow the removal of several large trees from the South end of Broadhurst. New landscaping and new trees are in the process of being planted in this location. OGE and capital projects monies funded this work. 11) At the end of commencement in the spring, the gym floor of the Sawyer Center was damaged and burned from a faulty light fixture, to the point that it had to be re-surfaced and re-painted. As a major side benefit, given our advancement into the candidacy year with the NCAA division II and our membership in our new conference (the GAC), we were going to be required to add these logo’s to our floor within the next year anyway. Given the damage we were able to include these into the current project, which was funded with insurance funds. 12) A new, outdoor basketball court is being installed on the south side of Snowbarger Hall. This should be complete this fall. This project is paid for with student fees.